He used to be that kid in class who had a witty response for everything and wouldna��t stop talking once he got up on stage. 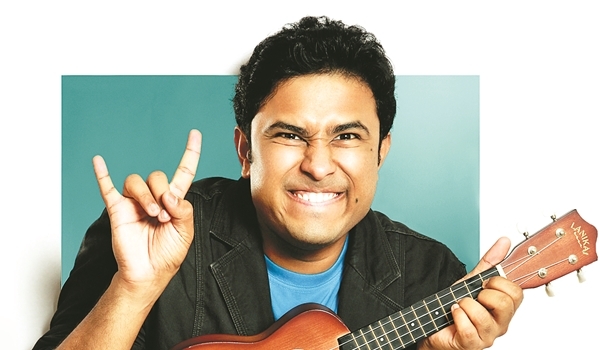 Comedy was such a great fit for Abish Mathew that when he got introduced to stand-up, while working as an RJ with Hit95 FM in Delhi a few years ago, he never looked back. a�?As a comic, Ia��m always searching for new jokes, new styles and new comedic voices. I weave in observational comedy, situations from my life and, of course, a lot about my upbringing, about being a Malayali,a�? says Mathew. Recently, some banter about Malayali men had got him in hot water during a show at a Delhi college, with some students calling him sexist. But the comedian, who is debuting in the city this weekend, at Kings of Comedya��sharing the stage with Kanan Gill and Kenneth Sebastiana��shrugs it off as pitfalls of the game. In fact, he isna��t worried about the a�?conservativea�� Chennai audience; he believes they will get him. a�?You can expect some of my new material and my best-received jokes,a�? says Mathew, whose dream is to be on the cast of Saturday Night Live. a�?I love to do characters, and keeping SNL in mind I have been working hard on acting and improv comedy. I am also polishing up my sketch writing skills,a�? he admits. Inspired by comics like Robin Williams, Jonathan Winters, Louis CK and Bill Burr (though a�?my favourites keep changing, just like clothesa�? ), he jests that his best ideas come a�?during my morning business or in the middle the nighta�?. But, on a serious note, he admits comedy is a full time profession. a�?I am always observing new things, trying to see how it might get someone to crack up,a�? he concludes.